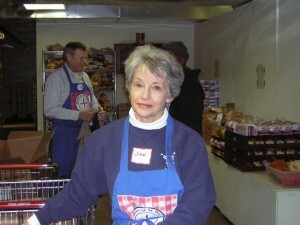 The food pantry at St Paul’s Episcopal Church, KC, Kansas, provides grocery assistance and US Government commodities for residents of the surrounding geographical area. St Thomas the Apostle provides volunteers each Wednesday from 11:30am-3pm and on the second Saturday of each month from 9:30am-12:30pm. Volunteers are needed to unload trucks, stock shelves, break down large bulk items into individual portions and shop with neighbors receiving groceries. This ministry connects us with many other churches who participate in the vibrant life of St. Paul’s outreach in its more urban location, and the community of volunteers from St. Thomas and elsewhere has formed a high degree of fellowship and morale around our work! Come join us!